Home » Q&A » How to Hack Someones Phone and Don’t Get Caught? Nowadays, it’s not difficult to learn how to hack someones phone without letting them know. You can get access to the data that is stored on someone’s phone easily and for free thanks to numerous cell phone spy applications. You should choose the hacking application, download and install it. After that, you should create your personal account where you will be able to track all information on calls, messages, emails, location, gallery, address book, browsing history, etc. That is just a brief guide into how to hack a phone topic. Let’s learn more. What Options Are Available When Hacking Someone’s Phone? Listen to environmental sounds around the target device if needed. All these options along with complete secrecy of the person who is monitoring a smartphone give a great opportunity to find out all important information and details that can provide personal and professional safety. To find out how to hack someones phone proceed reading or check this application. Why Do We Need to Learn How to Hack Someones Phone? From time to time, our kids or our spouses can be too secretive with their smartphones and tablets. And this may provoke suspicions on our part. And if you are the business owner or CEO of the company the mobile devices of your employees can also become a real headache. As a parent who wants to learn how to hack someones phone, you have to be sure that nothing threatens your family and your children. And as an employee who finds out how to hack a phone, it is important to note that your company’s confidential information is safe. Technological development and computerization make it possible to store all personal and professional information on electronic media and devices. It has become hard to keep something in secret. People all over the world wonder how to hack someones phone without them knowing. Fortunately, these days technological progress is powerful, and we can learn how to hack someones phone in few minutes. You should not think of your wish to learn how to hack someones phone like it is something embarrassing. As we said before, there are lots of various reasons and yours may be even more relevant. Want to find out how to hack someones phone without any signs? Here is the list of programs that work with non-jailbreak iPhones and don’t require a physical contact to be installed on the target smartphone. The last two are world’s one’s most powerful and popular spy apps these days. We will describe them later. But you need to note that, those programs are not able to deal with Android smartphones without you touching them. To spy on a phone with Android, you need to get physical access to it. But if you are a parent and want to control your kid’s device or to track your employees while they are in the office, there is something you can get even for free. There are few interesting spying solutions developed by Apple, Google, and Android. Those programs are built-in and are available in a usual app store. If you need to track an Android device, we recommend using Android device manager and Find My Phone. Both these programs work with Android devices. 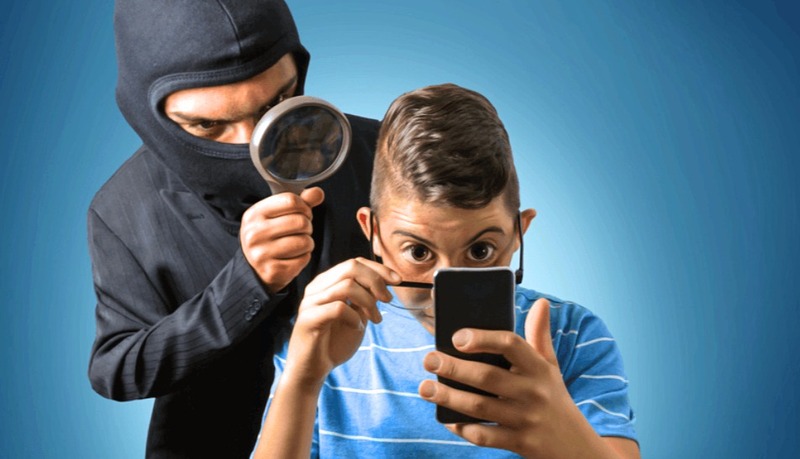 They offer less than a typical spy application, but if you need just to know where your kid is or to block your lost smartphone, this is the best solution you can get. Those readers who want to learn how to hack someone’s text messages without having their phone and just wonder if it is possible, we will answer positively. It is possible! And you don’t even need to purchase any special applications. There are few online services that can get you access to almost any smartphone, its messages, and other data. One of those great websites is SMS-peeper. It is a universal platform with a bunch of interesting features available. This service is well-taught on how to hack a phone and will provide you with an opportunity to extract up to a hundred text messages from a target device. Let’s get few words about Highster Mobile and mSpy applications. Those programs as we said before are very popular. The main reason why people like them is their ability to monitor smartphones without any need to install any apps on it. It is possible as those services are able to work directly through iCloud and all you need to find out of the target is its Apple ID and password. Then those apps will contact the main device and log all the activities. The number of features is almost the same as if you install a full version app on the target device. But if you don’t have such an opportunity, it is more than just enough. You can read all messages of all types – SMS, MMS, emails, and even instant chats. Track GPS location and even extract those messages that were deleted. Can u help.me fi d put if my boyfriend is cheating on me. I feel like aliens are able to read my brainwaves and that they have kidnapped me and done experiments on me. They use my cellphone to control me. Please help me get proof. I’ve been getting text from a guy who I don’t know who it is. Please reach me here. I might need your services. Please put “I can Help Michael” in the subject line. Put “michael i can help in subject line. contact..he has different prices for different packages. I can attest to his sevices. He’s the best there is. Thanks for the information. Yes I need help ruining a gang member whom is holding my family hostage. I don’t know where he is holding them and he is hunting my head.